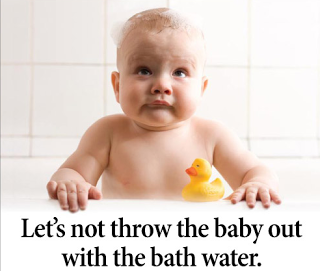 An old saying cautions, “Take care not to throw the baby out with the bath water.” While it’s highly doubtful the coiner of the phrase realized it in the 1500s, this quaint warning defined a misperception that survived through centuries and, to this day, continues to negatively impact our environment and threaten the future of our planet. Simply stated, people through the ages considered water ‘down the drain’ as lost forever, never to be retrieved, good-bye and good riddance! Modern-day researchers, educators and the Environmental Protection Agency (EPA), have made great strides in debunking the myth. Now, it is much better understood that water constantly recycled and reused in any number of applications, from tap water to rainwater. With this understanding comes a greater responsibility among private as well as corporate citizens to take steps that will make our collective “bathwater” safer. With growing competition for freshwater from industry and cities, it is likely to spur a rapid increase in the need for treated wastewater for farming, irrigation, and other non-potable and even potable applications. Currently though, treated wastewater, especially in North America, is mostly unused. The estimated amount of wastewater generated in North America each year is about 18.7 trillion gallons. (Try to wrap your head around that number!) And while 75% of that is treated, only 6% (in the United States in particular, according to the WateReuse Association) is re-used. Agriculture will increasingly rely on alternative water resources, such as wastewater generated by non-agricultural activities in urban and peri-urban areas, although food-growers have continued to express concerns about using reclaimed water. Around the globe, water demands already exceed supplies in regions with more than 40% of the world’s population, and in just 12 years as much as 60% of the population may confront water scarcity. For our baby and her bathwater, a stronger push for water recycling and reuse can help ensure that she can grow up with confidence in her planet knowing that we will all have water resources in the future.